On a recent trip to Gaspe Peninsula in eastern Quebec, I spent a day near Perce, a little touristy town on the eastern tip of the peninsula on the Gulf of St. Lawrence, due west of Newfoundland and Labrador. 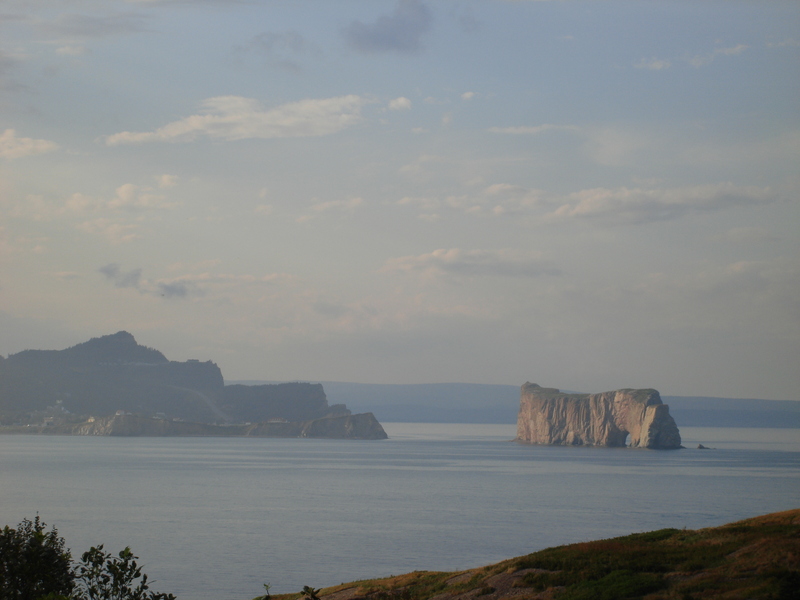 Perce Rock is a tall, narrow limestone formation that rises from the gulf . This Devonian-age island has sheer cliff faces and a flat top making it look something like a large wedge of swiss cheese. It is called Perce Rock because of the arch that goes all the way through the formation — it is pierced, hence the name. 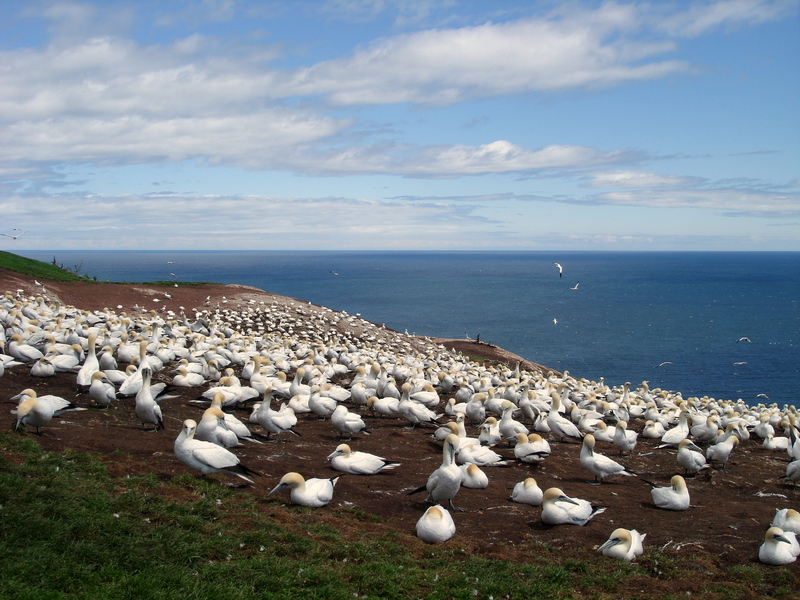 Not far from Perce rock is a low-slung island — Bonaventure Island — that’s home to the largest gannet colony in the world. 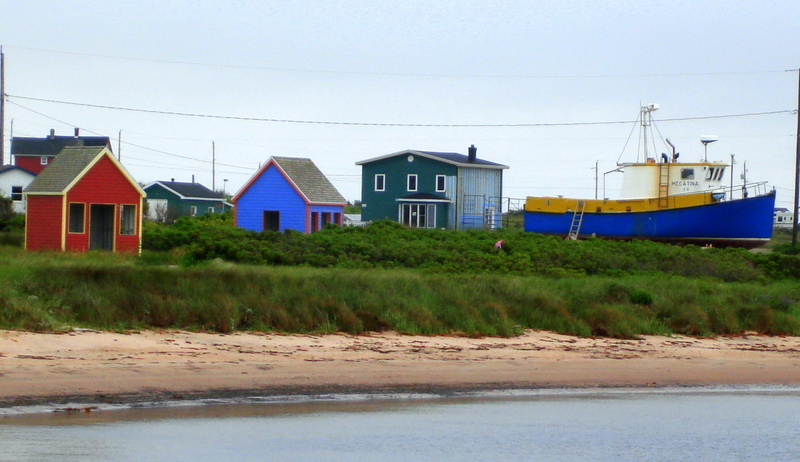 A ferry runs from the village of Perce to Bonaventure, which is a regional park. 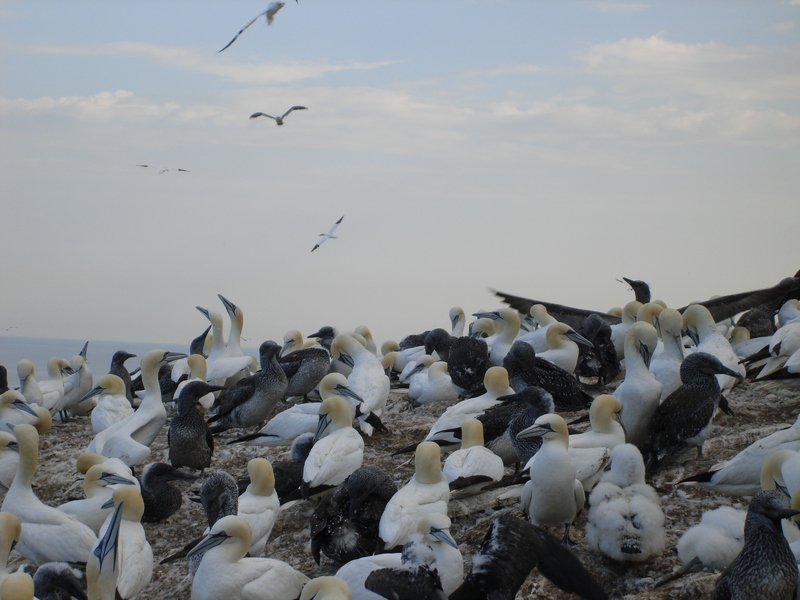 We hiked the Colonies Trail up and over the island’s mid-section and came upon the gannet colony. The stench was almost overpowering and the noise of over 100,000 seabirds was unbelievable. But what beauties they are with their sleek, streamlined look and the electric blue detailing around the eye. 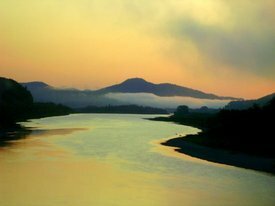 Quite stunning.